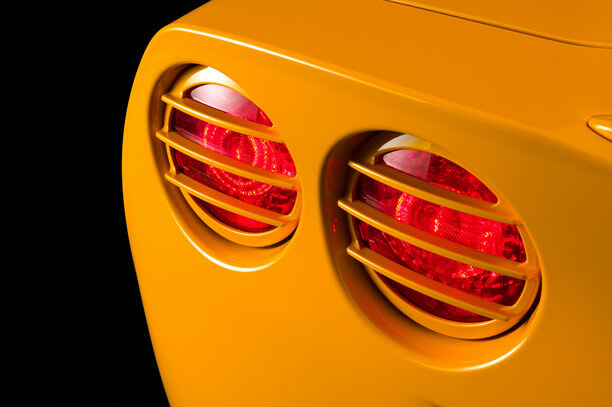 This three dimensional C6 Corvette Tail Light Louver set is an easy way to add dramatic styling to the exterior of your Corvette. 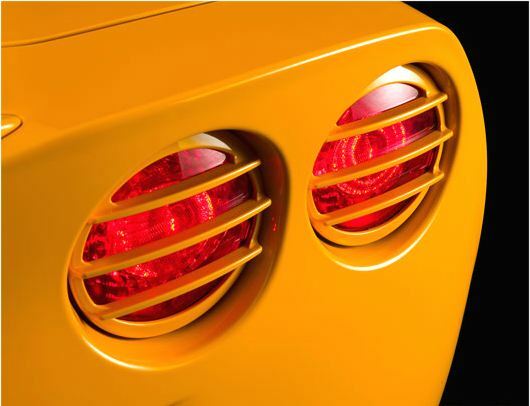 Made from high impact ABS plastic, our C6 Corvette Tail Light Louvers are treated with a high quality color-matched urethane enamel finish to give them the look of a truly custom piece. The durable color introduction process ensures years of great looks with a smooth glossy finish making them very easy to clean. Don't settle for factory looks. Set yourself apart from the field. 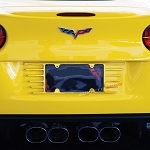 Order your C6 Corvette Custom Painted Tail Light louvers from Corvette Mods today! Q: Once adhered do you still have access to screws to remove lense to replace burnt out bulb?